This Post has already been read 654 times. 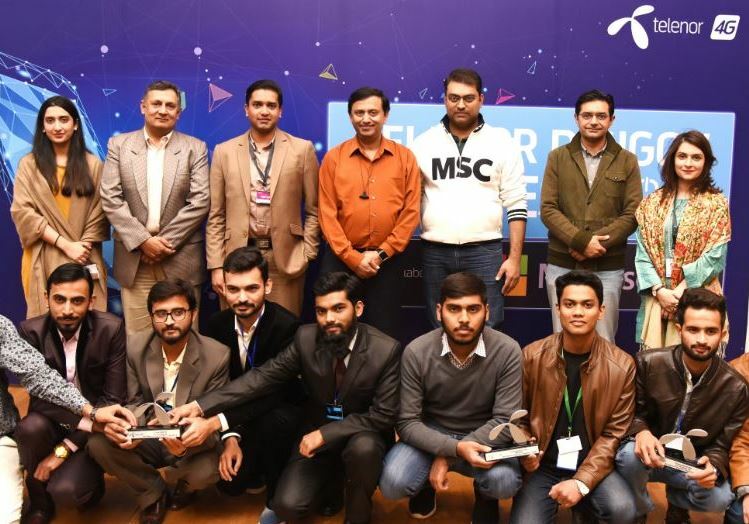 Making strides toward its goal of empowering societies, Telenor Pakistan joined hands with Microsoft to bring DigiGovHackfest 2018 where bright young minds from the twin cities gathered to create digital solutions for civic problems. The three day hackathon was hosted at Telenor Pakistan headquarters ‘345’ where experts from Telenor Pakistan & Microsoft came together to guide the young developers & innovators. The event was supported by Saylani Welfare Trust, International Game Developers Association and ACM NUST Student Chapter. Telenor DigiGovHackfest is a step forward to provide a platform that brings together country’s young minds to develop e-governance solutions to civic problems and make Pakistan a knowledge based economy. This initiative brings together programmers, designers, urban mappers, data analysts, community organizers, and the government to reboot local services by harnessing the power of cloud computing, Internet of Things (IoT), Cognitive Services & Artificial Intelligence (AI). The participants learned advanced cloud development skills for civic improvement, received expert mentoring and input on solution development from experts created useful prototypes to solve civic issues. The challenge themes of the Telenor DigiGovHackfest include transforming governance, strengthening the federation, revitalizing economic growth, uplifting agriculture and conserving water, revolutionizing social services and ensuring Pakistan’s national security. Technology, when combined with the inventive ideas, has the ability to revolutionize industries and the world as a whole. That is the reason why a civic ecosystem based on technology is playing a key role in shaping the future of socioeconomic development in the digital era. With the modern society witnessing a shift from the traditional institution-centric solutions to new citizen-centric solutions, civic tech is becoming a key tool in linking all the social actors that include citizens, organizations, and governments.